At least with a mini-Hannibal Lecter, you won’t have to worry about your kid running off. 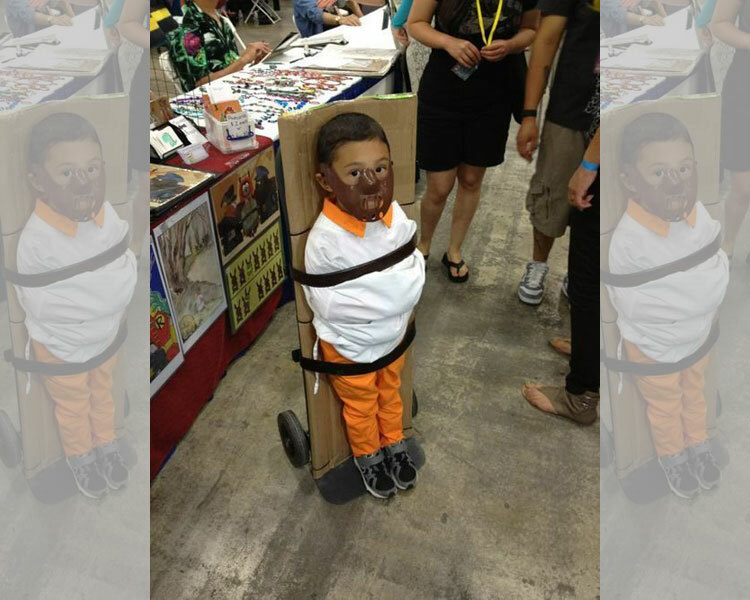 Let’s hope this kid has no idea who this character is, since Silence of the Lambs isn’t exactly a kid-friendly movie. I think this parent has found the most effective way to keep their child quiet & still. This seems more like a punishment than a costume, but I’m sure you won’t hear the kid complaining… mostly because you wouldn’t be able to hear him through that bite-proof mask!